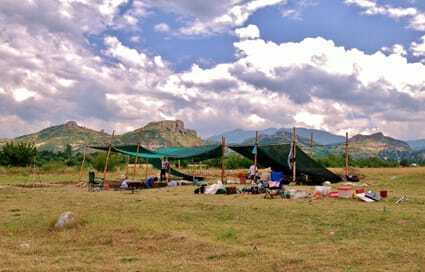 The Balkan Heritage Field School project: THE BIRTH OF EUROPE along with the dig at Neolithic settlement in Ilindentsi are starting in 2014 with a group of 14 passionate students. The team of Bulgarian and French specialist will work there for a month revealing the secrets of Europe’s first farming communities. Our colleagues hope to find more evidence about the origin and every-day life of Neolithic people who used to live near Ilindentsi 8000 years ago.